An executive coach can help you make the type of intentional career choices that ensure you’re doing what you’re meant to be doing. As an executive coach, I often work with people who struggle with their career paths. They wonder why they aren’t happier in their jobs. They wonder if they are doing what they are meant to be doing. They wonder if there’s a more fulfilling career somewhere down the road. They wonder if they should keep trucking down the same path, or whether it’s time to find a new road. These are difficult questions. A recent article in Fast Company titled 8 Signs You’ve Found You’re Life’s Work by Amber Rae shines a bright light on this puzzling situation. It doesn’t feel like work. For most people, this doesn’t just magically happen—it takes planning, commitment, and some trial and error to find your dream job. Most of my executive coaching and career coaching clients admit that their careers just happened. Events and circumstances tend to sweep us along and before you know it, we’re halfway through our careers and wondering how we got there. Even very senior executives report that their careers have evolved based on opportunism, hard work, and sometimes luck. They’ve stumbled into their current careers because they studied something that someone else thought was valuable, they were gifted in, or that was influenced by cost or logistics. Way too many professionals discover decades into their careers that they still don’t know what they want to be when they grow up. Keep on doing what you’re doing, and look forward to maybe getting to do what you love when you “retire” (if you live that long). The vast majority of people do NOT have a clear long-term career plan when they graduate. So they do what they do, and at some point in their lives, many are confronted with the reality of their career direction and their life’s purpose. Fortunately, it’s almost never too late. In working with my career coaching clients to create a good career plan, we start with a vision—the end—in mind. I insist that they look far enough in the future to disconnect with the current reality. What do you want to be doing? Where? With whom? Who will you be working with? 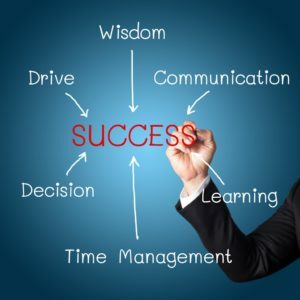 What will success look like? How much money will you make? Understand your strengths, gifts, talents, skills, and capabilities. If you get stuck on this step, ask people who you trust and who know you well. A good career coach can also help you find a good assessment instrument. Explore what you love, and identify your passions. Create your vision by determining what you would like to be doing 5 to 10 years from now. Inventory what you have to have to be successful in that future job. Compare the future list with your current capabilities and identify the gaps. Create an action plan with the list of steps necessary to close each gap. Take the first step in your plan. These steps may sound simple, but they aren’t easy. Consider finding a coaching professional who can help you navigate all the steps.